“I have good place for you in Trinidad, nice house, good people. 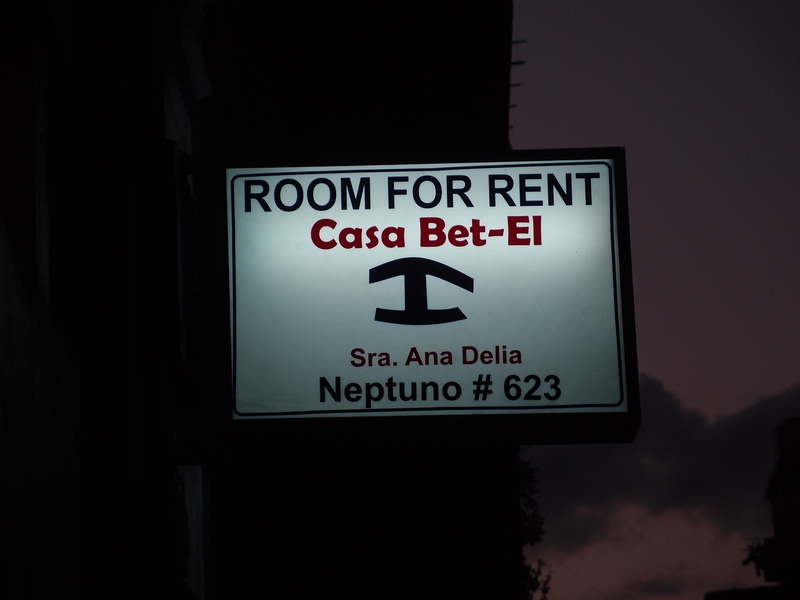 Vinalez, I have casa, is small, but people are beautiful” said Anna Santa Maria, the casa owner of 639 Neptuno Calle, Habana. This short, loud, highly religious, apple shaped woman opens her home to six foreigners every day and night, 365 days a year. This is her income, the income of her elderly sister and brother who assist Anna in delivering a bed and breakfast service for hungry and tired travellers out of their family home. Doubling as an entrepreneurial travel agent, Anna is a breadth of advice on her home country and like most casa owners in Havana, tries her very best to plan your stay in Cuba. Until recently, it was illegal to independently conduct business that was not in someway government related or beneficial. This is not to say casa’s and the like did not exists – far from it – but it does suggest the locals went to great measures to gain partial independence from their government despite the high risk involved. Today, in an ever so slightly relaxed environment, a significantly smaller percentage of the casa’s earnings continue to go towards the government but signs for casa’s can be seen easily throughout the streets. These signs have become an official way of highlighting government approved independent businesses and officially registered casa home stays for travellers. This has indirectly encouraged locals to create their own businesses in many shapes and forms but provides a convenient tracking system for officials to not only monitor visitors but citizen movements too. After arriving at the airport and spending at least half an hour in the money exchange line (Cuban convertible pesos and local pesos are not available outside of Cuba) you then have to find somewhere to stay. There is a local service that will take you, at random to a ‘previously determined’ casa in town. The casa owner you stay with in Havana will without a doubt hope to arrange your entire trip to Cuba. This on many levels is quite helpful; whether you want the assistance or not, it will be very difficult to say no, and avoid their plans for you. In many ways, it is a way of keeping track of you, in other ways, it is a genuine attempt to ensure you are safe and enjoy the sites of their country. When you arrive in their house, you will be asked to sit and will be offered fresh cold water before a large book of contacts appears on the table. Inside lays the tour guide bible – contacts and business cards in every city and town of Cuba – waiting for your arrival. In our case, Anna took our passports and started the communication chain – first calling the “lovely family” in Vinalez. “Name, Ella, E-L-L-A si… Ella (My name means “She” in Spanish- try and explain that one)” “Australian…si, si, kangaroo, Espanola? No… err un pocitto”. Then Anna would provide the contact with all of our passport details as well as the details of the casa they must call that we would next go to after staying with them. Note; when you arrive in the next town, although your next accommodation is fully arranged, the casa owner will try very hard to get you to stay with one of their friends in another town instead – Be polite – but either way you choose, your experience will be somewhat the same regardless of who you stay with. And so this continued, each casa would be instructed to call ahead for us, upon our arrival to them, confirming when and where we would next stay. This family will also pick you up, literally from the door of the bus as it arrives. It is a well-oiled system, which ensures the local citizens to the biggest taking of the cash prize. 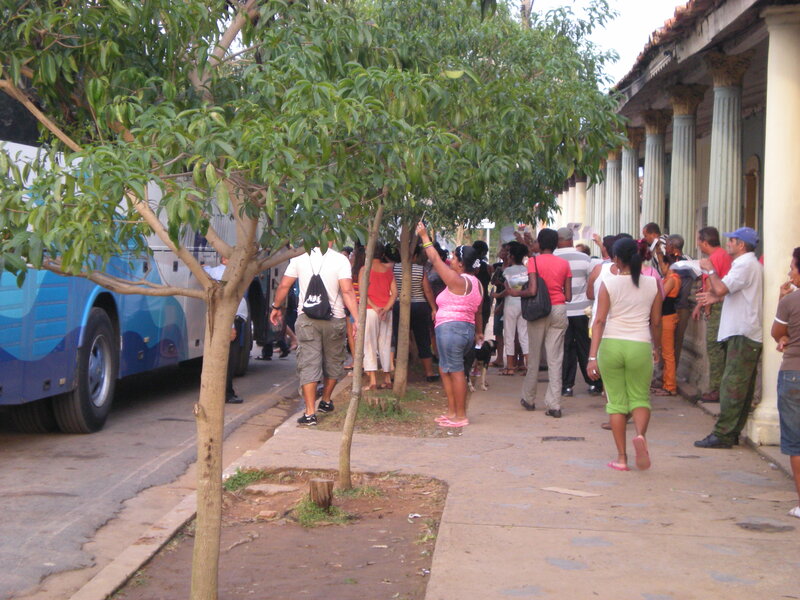 In many cases for first time travellers or non-Spanish speakers on a budget, it is an extremely helpful way to travel Cuba. Although relatively expensive for couch surfing/hostel/ B&B type accommodation at around $25 AUD/USD per night per couple, the return to the community is much larger. 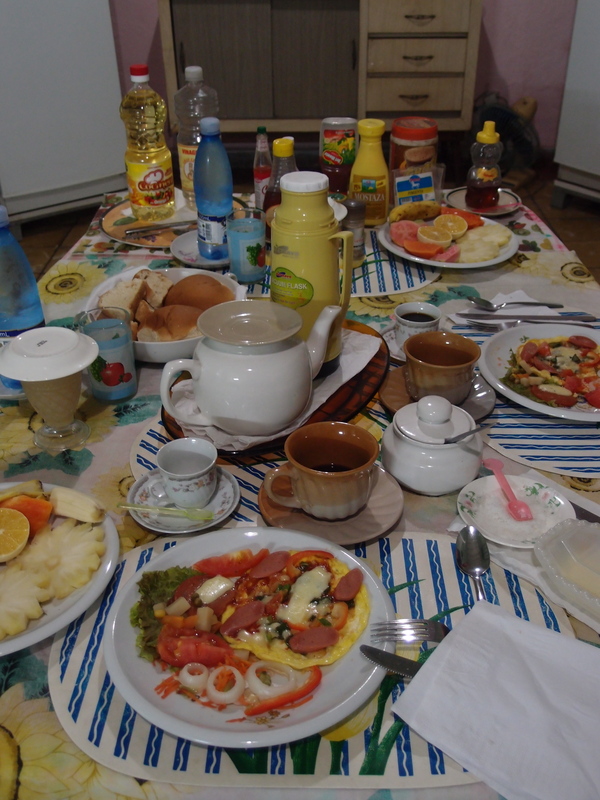 Breakfast and dinner is always included and for some of the more isolated towns it is much easier than trying to find somewhere to eat. Ordering the additional food is sometimes expensive and difficult for casa owners however a full three to four course meal will always be served up. Staying at a casa in Cuba is the most effective way of travelling on a budge and connecting with the people of the country. Cuba is developing rapidly and much of the infrastructure is a picture perfect image of 1950’s America – the point in which the country was cut off from the rest of the world. The streets of the Havana old quarter are lined with colonial hotels where 100% of the profits made, go straight to the Castro Government. There are many parts of the tourism industry that incur fees linking straight to the government but casa’s are a safe and easy way to prevent at least some of your cash-flow from reaching Fidel and giving it to the local people who need it most. ← Golden Plains Music Festival – Do I go for the music or the food? I simply want to say I am new to weblog and really enjoyed this web site. Almost certainly I’m want to bookmark your blog post . You absolutely have exceptional stories. Thank you for sharing your website page.